Tax returns: Is there any point? A couple more years passed by and he had to pay for some courses and also take some time off to do them (not all yachts pay for your training) and so this cleared out his savings. By the time he reached the level of 1st officer after 6 years in the industry he had some savings but not much else. Does any of this sound familiar to any of you yet? By this point he was earning good money but also having a great time. Nights out were more expensive, regular dinners in expensive restaurants were becoming the norm. A nice motorbike at home (not his home!) and a really cool rental car when he was on holiday made it hard to save. Then, one day he decided that he’d pretty much had enough of yachting. It had been 10 years, he had enjoyed his time but new opportunities beckoned and he left yachting and luckily ended up with a great job in yacht management. He left yachting without much in the way of savings, no property and a few small investments. Luckily for him he landed on his feet and managed to avoid the worst part of the Superyacht Trap because he found a good job. This story is one of luck, definitely not good judgement, sense or wisdom. What would have happened if our friend had struggled to find a job? That’s simple, he would have fallen right into the Superyacht trap and been forced to go back to yachts…..
How much can you afford. Be realistic. If you over commit this costs you your freedom in other areas. If your plan is sensible and does not restrict you too much you will be able to stick with it. There are lots of crew these days who are really keen to invest for their future but you can go too far. After all, what’s the point of doing the job you do if you have no money each month to enjoy it? You do not need to save every penny you earn to make your future easier and avoid the Superyacht Trap. We’ve talked about all sorts of ways of you avoiding wasting your money from banking to cards, to Foreign exchange services. If you get all this right, as we have said before it will save you about 1 months salary per year. If you are filing tax returns and benefit from 0% income tax then this is 20% per year which we like to call “free money”. So, look at it this way. If you can save 1 months salary per year plus 20% then that is a good plan. If you are new to the industry and earning €2500 per month then you should aim to save €8500 per year. If you are a Captain earning €12000 per month then you should be saving €40,800 per year. Base your savings on a % of your salary and you should find yourself in a good position at the end. Remember this though, saving is great but you need to do something with the money. Your money needs to work for you all the time and so DO NOT just leave it in the bank. Make the most of it and this is where professional help comes in. James set up the right bank accounts and cards. The money he saves each month goes into a pension and an ISA. He bases this on 1 months salary per year and splits it between the two. He puts 20% of his salary into a high interest bank account back in the UK. Every month he converts this from Euros using an FX company and deposits into his high interest account. This is the deposit for his first house. After 3 years he was able to buy an investment property for £120,000 which is now rented out for £800 per month and covers the mortgage with some left over for any bills. As he is now earning more money, he is saving more and therefore putting more into his pension and savings account. By the end of next year he will be able to buy his second property at the age of 24 and probably his 3rd 18 months later. By the time James is 35 he will have achieved his goal of owning 6 rental properties generating £5000 per month in income. By the time James is 38 he will be able to leave the yachting industry, retire and basically do whatever he likes for the rest of his life safe in the knowledge that he completely avoided the Superyacht Trap. Could you be James or do what he is doing? There is no reason why not. If you are more like our “friend” and have been in the industry for years and are caught in the Superyacht trap there are still things you can do to get out of it. We will cover these next time. If you would like to discuss your future (or your past) feel free to get in touch as it is always free to talk. Remember, we are ex-yacht crew and in case you hadn’t guessed our “friend” was me. 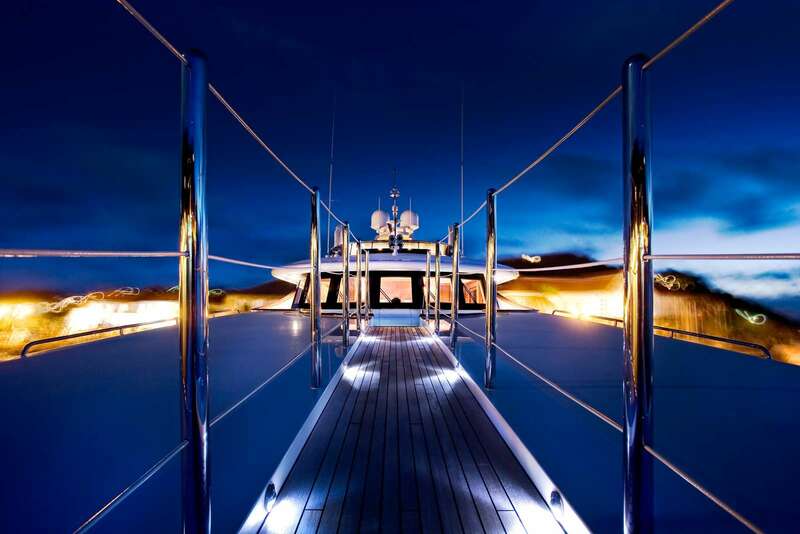 We look forward to helping you avoid the Superyacht Trap and making the most of your money. Please remember that nothing on this page constitutes financial advice and is a light-hearted look at the mistakes a lot of crew make along side some of the smart choices a very small number of others make.